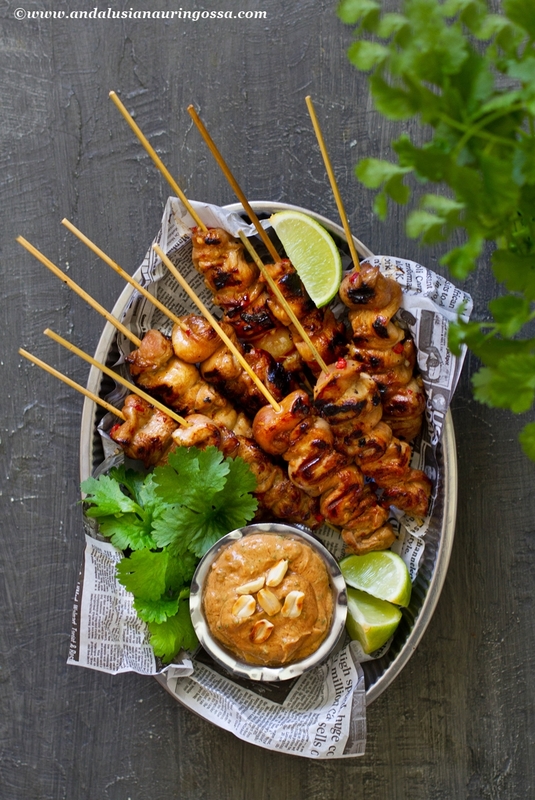 These Asian chicken skewers and nutty satay sauce are so addictive - go on, go nuts! I spent the first half of the summer travelling so much that I still haven't finished all of those stories. But a little break from the travel posts might do us both good, non? And in case you thought I'd completely stopped eating, let me correct you straight away. No, I haven't. Quite the opposite, in fact. Cooking and shooting for my book has taken most of my time of late, so I've missed out on the glorious BBQ weather that still show no signs of being over. So, better make the most of these days while I still can! Same goes for you - go on, fire up that BBQ because have I got treats for you! This peanut sauce is one of my long-standing favourites that I usually make a bigger batch of: I seem to have a horrible tendency to lick the bowl dry before the BBQ is even ready. Obviously it's all in the name of quality control - it's not like I'm greedy or anything. Oh, no. 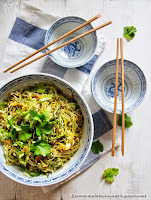 It's also versatile as heck - try it as a dip for crudites, as a salad dressing (for instance to replace the miso and sesame dressing in this glutenfree mung bean vermicellisalad! ), for beef or pork... or with your index finger. It is that good. I prefer sugar-free peanutbutter as that allows me to keep pretending I'm all about clean living, but use what ever you like. And in case you haven't gone crazy at the ethnic shops and are issing some of the ingredients for the sauce, worry not. You can replace fish sauce by adding more soy sauce and as for rice vinegar, just add more lime juice. And perhaps some regular white vinegar and a dash of sugar. Measure the ingredients into a food processor and blizz until smooth (or whisk them together by hand). Check the taste and adust to your liking by adding me lime juice and/or soy sauce. Drain the chicken from the marinade. 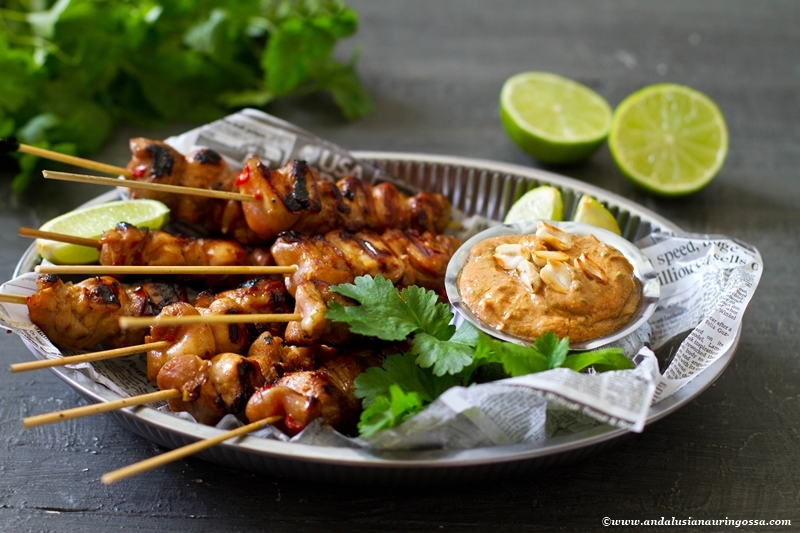 Thread onto 10 skewers (in case using wooden ones, make sure to soak them in water for half an hour to avoid setting them on fire) and grill (either on a BBQ, griddle pan or under a broiler in the oven) for 3-4 minutes per side. Serve with satay sauce. Enjoy. Want to hear a secret? I finished them all by myself. In one sitting. I suppose there's no way to pass that one off as quality control...?